Stephanie Anders, Protector of Souls, has met her hardest task yet: saving the soul of someone she hates —her ex-husbands best friend. After having accidentally sold his own soul Stephanie must now journey to Hell to recover it. There’s two problems: how does she get there, and then how does she get out again before she becomes a demon? Reviewers said this about Isis, Vampires, and Ghosts - Oh My!, Book 1 in The Other World Series. "Janis has become one of my favourite writers. This book is great. I couldn't put it down. I love the characters and the world she has created." "A fast-paced, exciting and entertaining story for all fans of paranormal/fantasy books." "A total laugh out loud journey, ridiculous and refreshing." 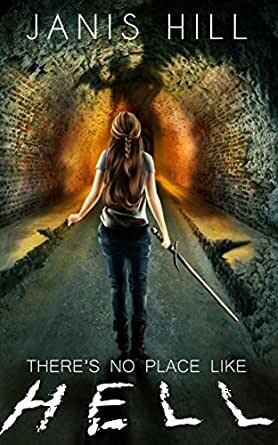 "... good and fun, and entertaining"
"Even readers who do not generally enjoy paranormal fiction will probably enjoy Janis Hill's Isis, Vampires, and Ghosts - Oh My! This story is fun and fast-paced, and reluctant hero Stephanie provides an entertaining point of view." Received a copy to read at no cost to the author. It was a great read. The characters and story are great. It has some great twists and turns. Readers will be drawn into the story from the first page.